In this article, we have collected 6 new best Responsive websites themes of 18th October 2014. This themes are well-designed and have lots of great features. Zoner is Real Estate WordPress theme based on Bootstrap and Visual composer drag and drop page builder, fully loaded with awesome features. You get also styled Google Maps as well, so you can decided which map provider you want to choose. Zoner gives you this awesome effect to the property listing as well! Slim is a beautiful responsive WordPress Theme designed for studios, agencies, freelancers or similar businesses. The theme is HiDPI optimized and will look great on any retina ready device. The icons are packed in a webfont and the CSS doesn’t contain any static images. “Bedrock multipurpose theme PSD template” with the complete package you have a wide range of possibilities to design almost any kind of personal and professional web layouts. 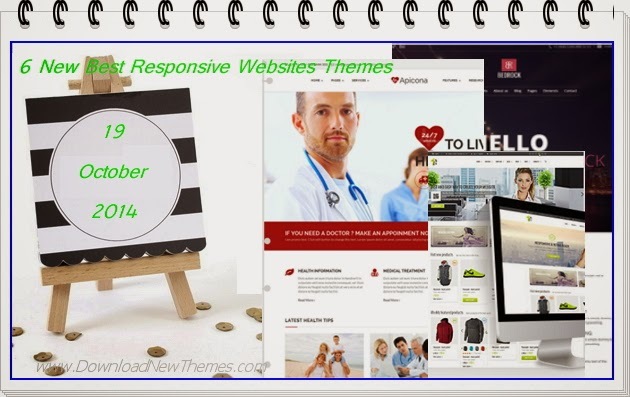 Item Reviewed: 6 New Best Responsive Websites Themes (19th Oct 2014) 9 out of 10 based on 10 ratings. 9 user reviews.